The History of the Hobbit presents for the first time, in two volumes, the complete unpublished text of the original manuscript of J.R.R.Tolkien’s The Hobbit, his draft of the revision of the Gollum encounter for the second edition, and the fragment of what, if he'd completed it, would have been the third edition of 1960 (a very small amount of which he did use for the actual third edition of 1966), accompanied by John Rateliff's lively and informative account of how the book came to be written and published. As well as recording the numerous changes made to the story both before and after publication, it examines - chapter-by chapter - why those changes were made and how they reflect Tolkien's ever growing concept of Middle-earth. It provides extensive commentary on the appearance in THE HOBBIT of elements that had already appeared in his earlier 'Silmarillion' writings and the ways in which Bilbo's story draws from the already existing legendarium (and of course ultimately contributed greatly to it). This new book includes many little-known illustrations and previously unpublished maps for The Hobbit by Tolkien himself. The book was be published in two volumes. 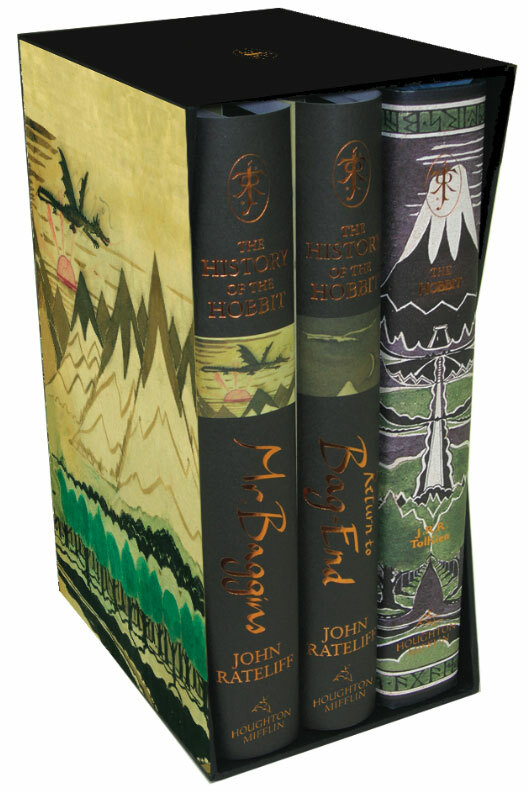 Includes the first part of the complete original unpublished manuscript version of ‘The Hobbit’ and previously unpublished and rarely-seen maps and illustrations by Tolkien. This second volume picks up Bilbo Baggins’ story half-way through his journey and chronicles how, after much adversity, he must still face the mighty dragon, Smaug, carry out the burglary for which he has been recruited, and return safely home to Bag-End.